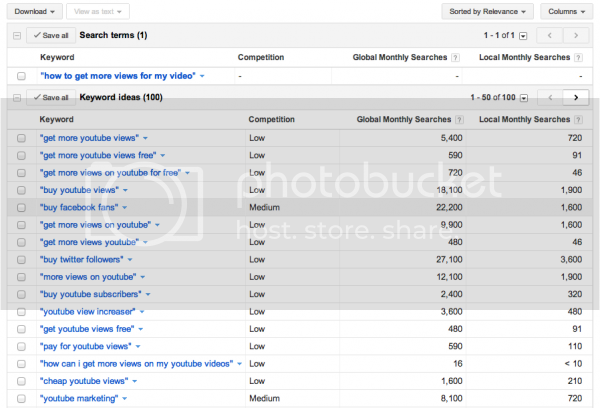 Keywords for YouTube can make the difference between your video getting found or not. just 30% of uploaded videos made up 99% of the views on the site. So the question is…how do you get your videos seen on YouTube? 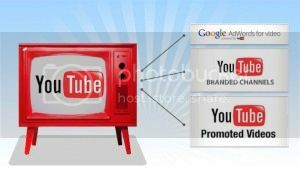 One is through increasing your search listings in YouTube organically (much like getting the most effective keywords into your website) and the second is paid advertising, such as pre-roll or in-display. We’re just going to concentrate on organic ranking in YouTube for now. Remember, without content that people want to watch all the way though, you are hurting your rankings in YouTube. You can do all the keyword research you like, but if people don’t engage with your film you are wasting your time. Check out our ‘Content is king‘ blog for more information on this. Similar to website SEO, it’s important to pick the right keywords for YouTube. There are two tools that can help you to do this. Google Keyword Tool and YouTube Keyword Tool. Both can be used in different ways to help you understand what people are searching for and more importantly, what people are watching on YouTube. Think of phrases people may search for relating to your content and try them out in the Google Keyword Tool. Your best bet is to look for phrases that are searched frequently and are low in competition. The more competition you face, it’s more likely you will struggle to get any traction with your video. You also need to think very carefully about your target audience and demographic. Once you’ve established some phrases that you think are relevant, hop over to the YouTube Keyword Tool and test to see how many people are searching that term in YouTube. To be honest, we don’t think the YouTube Keyword Tool is that great at the moment so what we do is hop over to YouTube itself and see what comes up. We look for phrases because this is how a lot of people search for videos in YouTube. You’ll also be more likely to find a niche or low competition area. From here, you need to build a title, description and tags for your video based on your research. See our blog ‘How to use keywords effectively for YouTube‘. It’s really important to understand that just like the web, what people search for can change hugely over time. This means that even if you find a winning formula now, it doesn’t mean this formula will still hold true in the future. You need to revisit your videos and tweak them based on newer research to help your videos stay relevant and up to date. If you’ve got a spare few minutes, check out our video productions here. 0 Comments to "How to research keywords for YouTube"